Tomatoes bring sunshine to your plate! They can easily be added to any part of the meal from starters to desserts, raw or cooked, according to your preferences, and provide precious antioxidants. There’s a reason we love them so much! Tomatoes have few calories and provide lycopene. They are a source of vitamin C.
They are fragile and should be stored at room temperature. Children can eat them cooked starting at twelve months. There are over 1,000 varieties of them! Tomatoes provide more lycopene when they are cooked. Tomatoes have few calories and are rich in carotenoids, including provitamin A. 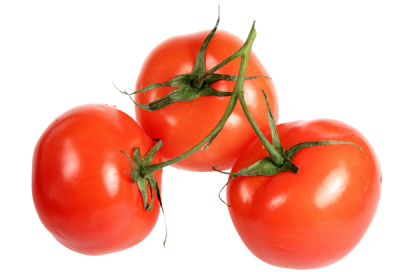 They also contain lycopene, another natural pigment which acts as an antioxidant in our body. Several studies show its benefits for eye health and its cancer-fighting properties. vitamin B9 (for cellular renewal, particularly important for pregnant women for fetal development, for growing children, and for convalescents) (link), in greater quantities when eaten as a purée or concentrate. Did you know? Cut up or cook tomatoes to increase intake levels of lycopene. This antioxidant is trapped in the cells of the tomatoes, especially in the skin. Crushing, blending, cutting, or cooking tomatoes makes more lycopene available, thus increasing the quantity absorbed. Tomato juices and sauces are simply the best! 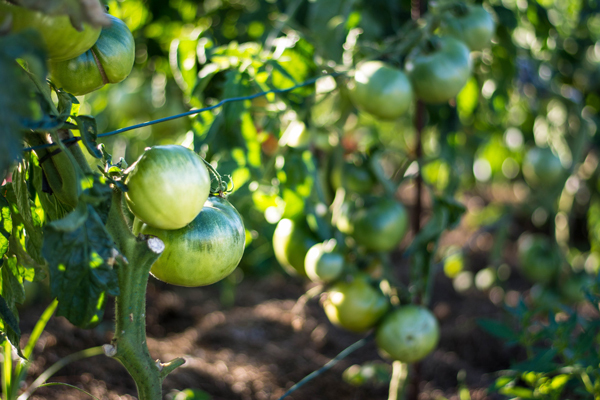 Although tomatoes are available year-round, they taste better during their high season, from May to September, when the climate is warmest, which is an essential condition for their growth. Tomatoes (Solanum lycopersicum, of the Solanaceae family) are annual plants with yellow flowers that grow well in fertile, well-drained soil rich in humus, and in full sun. For tomatoes to grow, the minimum temperature must be 15°C (59°F). 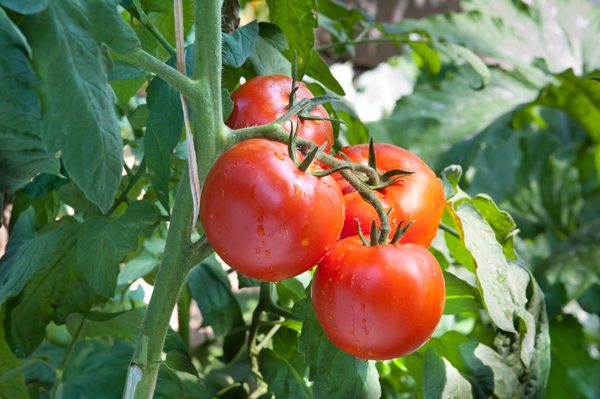 To learn everything you need to know about growing tomatoes, read the page on growing advice. Tomatoes are very fragile fruits. Fresh tomatoes are soft to the touch, and have a firm, dense consistency. They have a distinct smell, especially the peduncle. They have smooth, shiny, spotless skin. However, tomatoes do not necessarily need to be perfect. For example, ancient varieties do not look as good but are very flavorful! Avoid the fridge! The cold alters the flavor and texture. Store them at room temperature for 3 to 5 days. In the freezer: in general, it is best to freeze them after having prepared them. If you store them whole, blanch them and peel them first, and make sure to drain them well. Extremely easily: just rinse them. Without a doubt, tomatoes are very versatile for cooking. They can be enjoyed cooked or raw and prepared in a number of different ways. 20 minutes: for sauces, longer if you want them to melt in your mouth or if you cook them in a stew with meat. 45 minutes: in the oven. Raw: Tomatoes pair well with olive oil, mozzarella, and basil. 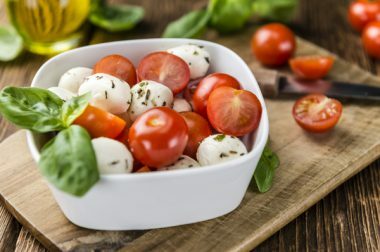 For nutritional value, it is important to eat them with oil, as oil (like all fats) increases the absorption of provitamin A and lycopene found in tomatoes. They are also great for salads, with fresh herbs, garlic, red onions, lemon, balsamic vinegar, bell peppers, olives, lettuce, beans, and a number cheeses, as well as seafood. The possible combinations are almost endless! Cooked: Tomatoes can be prepared any way you want, as purées, sauces, juices, or sautéed. They go very well with bell peppers, eggplants, zucchini, and all summer vegetables. 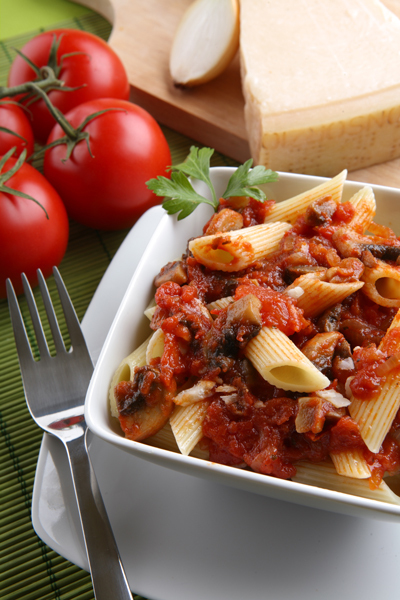 Tomato sauce is a great accompaniment for many types of fish and meat (lamb, veal, beef, etc.) Tomatoes are equally delicious with goat cheese, Gruyère, Emmental, mozzarella, etc. Bigger tomatoes for stuffing should be cooked for long periods of time. Green tomatoes are sweet and excellent as jams, with vanilla or caramel. Since babies have trouble digesting the skin and seeds, raw tomatoes are not recommended for children under 12 months. Choose cooked tomatoes (as a sauce, with other vegetables, etc.) for children over 8 months old. Everyone enjoys tomatoes. However, they can cause problems in certain cases. Some people may have hypersensitivity to tomatoes linked to latex allergies. These people must monitor the quantity of tomatoes they eat and stay below a certain threshold, or avoid them altogether and consult an allergist. People with acid reflux or hiatal hernias must monitor their consumption of tomatoes and tomato-based products (juice, coulis, etc.) as they can cause pain in the esophagus. People with bowel problems (irritable bowel syndrome, diverticulitis) may have difficulty digesting tomatoes properly. Although it is sometimes preferable to avoid them, it is also possible to try eating them without the skin or seeds, as these are the less digestible part. How to peel tomatoes if you cannot digest the skin: Dip them in hot water for 30 seconds. Then, rinse them with cold water. The skin will come off easily with a knife. Origins: Tomatoes are by far the most important vegetable in human diet: over 163 million tons are produced each year. The main tomato producers are China, the United States, Turkey, Egypt, Italy, and Spain. Varieties: There are over a thousand varieties of tomatoes. Cherry tomatoes, oblong (or Italian) tomatoes, pear tomatoes, yellow, orange, pink, red, green, and black tomatoes, and more: they come in all shapes and colors! Tomatoes can be round, oval, or globular. Common tomatoes, also called globe tomatoes, are round, sweet, and tart, and can measure up to 12 cm (4.7 in) in diameter. They generally weigh between 100g and 300g (3.5-10.5 oz). These tomatoes are juicy and come in different colors. Italian tomatoes, also called oblong tomatoes, have an elongated shape, a thicker skin, and fewer seeds than the other types. They have a very mild flavor and a flourier flesh, as they have a lower water content. The average length of Italian tomatoes is 5 cm to 10 cm (1.9-3.9 in) and their diameter ranges from 3 cm to 5 cm (1.2-1.9 in). Vine tomatoes have at least 5 fruits. They have seduced consumers with their flavor, regularity, and good shelf life. The stem stores sap which gives tomatoes their full flavor. Cherry tomatoes are sweeter and less tart than common tomatoes. They are the smallest tomatoes, with a diameter of 2.5 cm to 3 cm (1.0-1.2 in). They come in different shapes and colors. Cœur-de-bœuf (lit. ox heart) beefsteak tomatoes such as the Rubiconde have pulpy and juicy flesh. Cocktail tomatoes which grow on vines between 35 mm and 40 mm in diameter have a slightly sweet flavor. They are best enjoyed as a starter or stuffed. Yellow tomatoes are sweeter than the rest of their kind. Olivine tomatoes are elongated, and sold by 4 or 6 on the vine or in cardboard trays. They are great on the grill or in gratins. Finally, Zebra tomatoes have delicate golden stripes, soft, sweet pulp, and green skin that makes them a favorite among chefs. Specific varieties of tomatoes are used to make canned tomato sauce and paste.